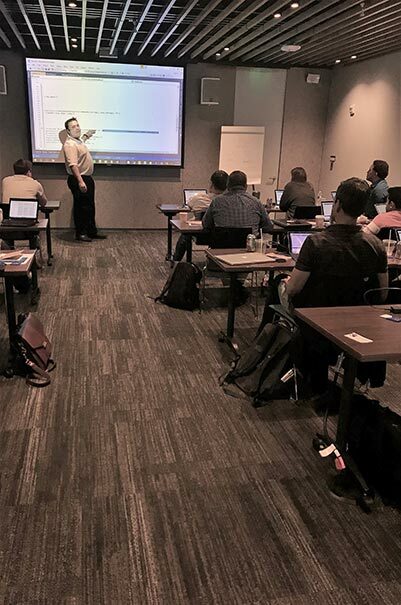 Tallan, Inc., a leading technology services firm with 30 years of custom application development and systems integration experience is proud to introduce the Bots in a Day Workshop series. This special Bot workshop is sponsored and conducted in conjunction with Microsoft. This free one-day Bot training will be at select Microsoft Technology Centers. Each session will be led by Tallan’s Thought Industry Leader and Vice President of Mobile, Web and AI, Matthew Kruczek. Bots offer a new and exciting way to interact with consumers, brands, or services in order to streamline existing processes. The Microsoft Bot Framework is a comprehensive platform that enables you to quickly build, deploy and manage high quality bots over a myriad of different channels such as Facebook Messenger, SMS, Slack, and many more. Each session begins with an educational introduction covering Chatbots and Artificial Intelligence (AI) followed by an interactive hands-on workshop where participants can develop their own bots. Tallan encourages developers and IT professionals to attend this exclusive event. Matt Kruczek is the Mobile, Web and AI Practice Director at Tallan. He has over 15+ years of industry experience in software architecture and development. Matt has successfully architected and delivered several end-to-end Line of Business applications using a variety of Microsoft Technologies. In addition to his duties at Tallan, Matt has authored several courses for Pluralsight including his new course “Getting Started with Building Bots with Microsoft’s Bot Framework”. For over 30 years, Tallan has been a leader in custom application development and data management, providing clients with meaningful innovations that increase operational efficiency, reduce expenditures, enhance customer experiences, and drive revenue. Tallan has advanced expertise in the areas of Portals and Collaboration, Business Intelligence, Application Integration, Mobile Platforms, User Experience, Ecommerce, Web Development, Government Solutions, Cloud Services, and IT Strategy. Clients include Experian, The Commonwealth of Massachusetts and Prudential. Tallan is one of a select few of Microsoft National Solution Providers (NSP) and has acquired multiple Gold Competencies in Microsoft technologies.